Not visible to the naked eye, as the Torrens flows by there are temporary markers of the weaving westward journey. Flowing by at different speeds, swirling, bubbling, and reacting to the banks, obstacles and other forces of nature. 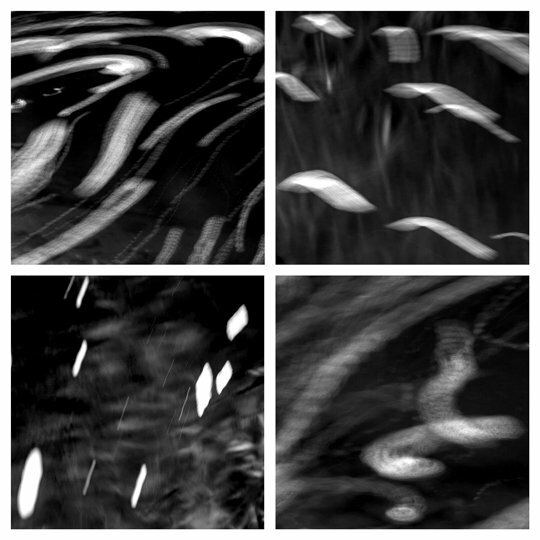 These are the trails of movement of the river Torrens as captured from the banks in four long exposure photographs.